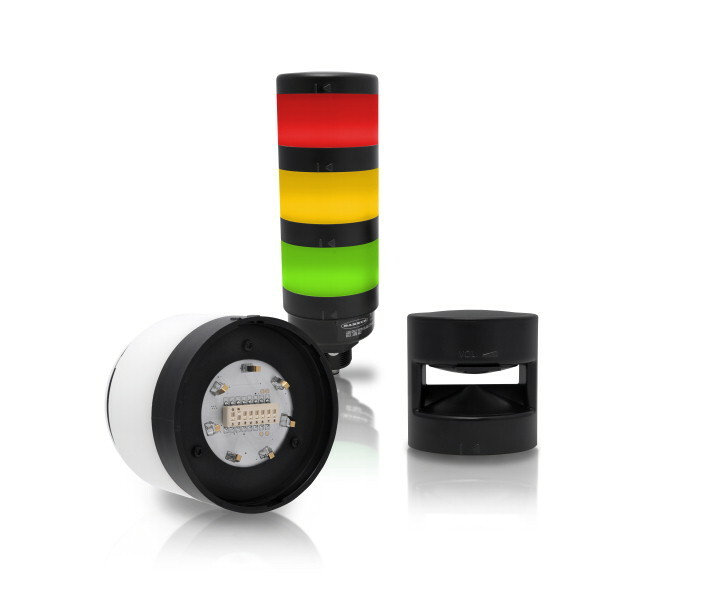 A multi-color module supporting up to three standard colors in a single segment is now available for Banner's TL70 Tower Light. This module has the same brightness and form factor as a single color segment and can be used to replace a three segment tower light. A TL70 can accommodate one multi-color module per light. A single color segment or audible module may also be used with a multi-color module used in the bottom position. Also available for the TL70 Tower Light is a loud 101 dB audible module. This module is twice as loud as the standard audible module and can be easily heard in environments where high ambient noise competes with critical alerts and alarms.Volume can be controlled via dipswitches on the module. For more information, please contact custservice@cesales.com. Thank you.